Fabricare 2018 In Long Beach was another successful CCA Show. 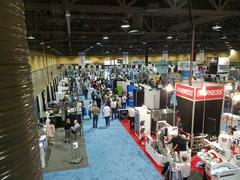 With over 120 booths and just over 800 attendees, the show was a great success. 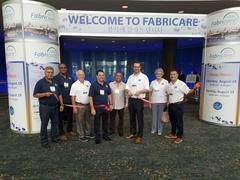 Drawing cleaners from all around California, as well as, from across the country, Fabricare ‘18 proved to be a great value for the attendee and the exhibitor. On-site reactions from the exhibitors was tremendous. It was a first class show, in a great location, and the people that attended were serious buyers and committed to enhancing their businesses. The Convention activities kicked off on Friday with CCA’s Management Leadership Day featuring three terrific workshops. The first featured celebrated author, Krista Clive-Smith. Her presentation focussed on the key tenement to an effective brand: “Get Noticed. Be Remembered.” That is what small businesses are striving for, recognition. In all aspects of marketing, from your packaging, to your website, to your social media use and even down to your community involvement, you need to develop a message and a brand. You need to be consistent. Next up was Riaz Chauthani discussing Business Valuation and Preparing for Business Succession. 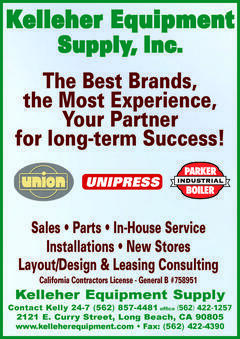 He explored the need to develop and plan and a strategy for maximizing the value of your operation. It is something you need to be aware of long before you really need to use the information. Brian Rashid, a marketing and social media expert was the days final speaker. He explored ways to leverage your marketing and community relations opportunities at a very low cost. He demonstrated ways companies can utilize the tools available in today’s marketplace and really enhance your companies profile in the community and in the industry. 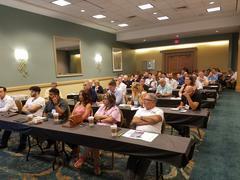 When the workshops started on Saturday morning it was standing room only as Chris Moreno explored ways to “Maximize Your Revenue Stream”. Chris did an excellent job discussing marketing strategies, alternative revenue streams and ways each attendee can change their current path to open more sales. Jibit Cinar was the second speaker, and she gave a “Critical update on HR Laws” in CA. The audience all learned some of the new requirements that they are required to follow and some of the strategies to satisfy those new employment obstacles. When the doors opened to the SDLS on Saturday, the crowds started coming in. With live demonstrations throughout the day, people stayed for the duration of the show and were treated to all the industry has to offer. “The crowds really started building right away,” observed Show Manager Leslie Schaeffer. “There was a good flow of people through the door -- and when the workshops ended, it got very busy, very quickly. 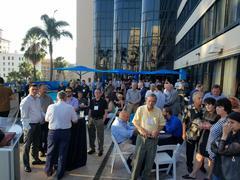 After the show floor closed, people headed to CCA’s President’s Reception -- a great way to end a productive day. People got the chance to mingle, talk, review all they had seen and learned about in a social setting. Sunday’s program again featured two excellent workshops. The first featured Kyle Nesbit who spoke on “Marketing for Profit” He did a terrific job giving working examples of how all drycleaners can change their marketing plans and take advantage of the new tools at their disposal. He showed examples of ways to think outside the traditional marketing avenues and to capitalize on relationships with in the community and with your customers. Jim Groshans, FabriCoach.com, was the final workshop speaker and he explored the team dynamic between front counter staff and the production staff. He looked at Customer Service from the team-building approach. In order to achieve outstanding customer service, the entire team has to understand the process. The front counter staff needs an understanding of what happens during the cleaning process, and the production employees need to understand the dynamics and challenges the counter staff face. It is a complete team, and we have to train that way. Fabricare ‘18 was a success on all levels. One of the most critical benchmarks of success is the engagement of the attendees. Based on exhibitor feedback, and from the obvious crowds at the seminars and workshops -- CCA hit a home run.